I made it here in one piece after a 10 hour drive! 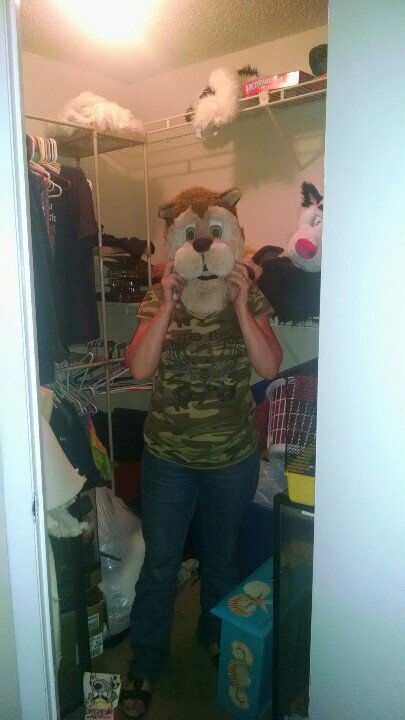 We’re about to go out to dinner and then sit by the pool later, but the first thing I did when I got here was try on my son’s fursuit heads. This entry was posted in Uncategorized and tagged Florida vacation, fursuit heads, visit with my son by luckyotter. Bookmark the permalink. “the first thing I did was try on..” Love it, as only a parent could. Glad you made it safe. Enjoy our weather and beaches now!